One of the best cards for college students. We like the Citi ThankYou® Preferred Card for College Students since it offers decent rewards to consumers who’ve never owned a credit card before, and may otherwise find it difficult to qualify for one. The card also has a few nice perks, such as tickets to concerts sold out elsewhere. As a cash back card, it offers subpar rewards. For individuals looking for pure cash rewards, we recommend going with either the Sallie Mae Mastercard, or the Discover it® Student Cash Back. Review: Is the Citi ThankYou® Preferred Card for College Students a Good Value for College Students? We rank the Citi ThankYou® Preferred Card for College Students as one of the best student cards available, due to the high rewards it offers on entertainment and restaurant spending. These are two great categories for bonuses that undergrads will be able to use outside of their daily academic lives. While most credit cards in this category offer cash back rewards, the Citi ThankYou® Preferred Card for College Students breaks the trend by earning cardholders rewards points, which can be redeemed for things like electronics and gift cards. While the card has a wide array of redemption options, we think very few of them are worthwhile. Only gift cards and airline ticket redemptions result in rewards rates above 1%. If you're a college student who wants to use the card as a cash back credit card, we don't advise it (you have better options available). You would receive half the value you could get out of the card if using the rewards on airline tickets, for example. There is a decent welcome bonus available to those who sign up for the Citi ThankYou® Preferred Card for College Students. Users can earn 2,500 bonus ThankYou points if they spend $500 in the first 3 months of receiving their card – that’s a $25 value. While it’s nothing too crazy when compared to the best credit card bonuses, as far as student cards are concerned, this is well above average. We like that the Citi ThankYou® Preferred Card for College Students nicely complements life at college or university. We'll talk about how the rewards can match up with students' natural spending, how much they're worth, and other perks below. How do students earn points with the Citi ThankYou® Preferred Card for College Students? Undergraduates earn 2 ThankYou points per $1 spent on entertainment and at restaurants. They're useful for college students, since discretionary spending will likely fall into one of these two buckets. All other spending earns you just 1 point per $1. These points can later be redeemed for a variety of rewards including cash back, gift cards, flights, Amazon purchases, and more. As mentioned above, this is one of the only college credit cards to offer this kind of point system. Welcome bonus: If you manage to spend $500 within the first 3 months of your account opening, you will also earn an additional 2,500 ThankYou points. If you redeem this bonus at a value of $0.01 per ThankYou point, it has the potential to be worth $25. For example, you could use this bonus to earn a $25 Best Buy gift card. To optimize the value you get out of spending, we advise you redeem ThankYou points where you are not getting less than $0.01 per point. You can get that kind of value when redeeming points for gift cards or flights. This way your rewards rate is boosted up to be between 1% and 2% - a competitive rate. How Does the Citi ThankYou® Preferred Card for College Students Compare to other College Student Credit Cards? In order to get a good sense of a card’s worth, you must first understand what other credit card options exist for students. Luckily, there are a lot of different options out there, which allows the consumer to comparatively shop and select a credit card that best fits their spending needs. Discover it® Student Cash Back offers users 5% back on purchases that fall within certain bonus categories that rotate throughout the year, up to a quarterly maximum when you sign up, and 1% back on everything else. The 1% back is a pretty poor reward, and the Citi ThankYou® Preferred Card for College Students will generally offer better value than that when spending on restaurants and entertainment. Since the Discover it® Student Cash Back best value lies with the 5% back categories, you should study the calendar to see if your spending matches up with these optimal cash back rewards. For 2019, the categories include grocery stores (January-March), gas stations, Uber & Lyft (April-June), restaurants (July-September), Amazon.com (October-December). If a significant chunk of your spending has the ability to fall into the card's calendar, we recommend it over the Citi ThankYou® Preferred Card for College Students. Of course, if your college is located in a smaller town setting or rural area, not many stores around you may accept Discover credit cards. Consumers should also prefer the Discover it® Student Cash Back if they want their spending rewards to be straight cash back. The Citi ThankYou® Preferred Card for College Students offers optimal rewards when used towards travel and gift cards. When used for cash back, you will only be getting a rewards rate between 0.5% and 1%. There is no welcome bonus to speak off on the Discover it® Student Cash Back, making the Citi card a much better short-term investment. Instead of a welcome bonus, however, Discover offers other perks. At the end of the first year, new Discover it® Student Cash Back cardholders will get all of their cash back rewards doubled. Additionally, students who have a GPA of 3.0 or higher in a school year will receive a $20 statement credit (for up to 5 years). The BankAmericard® Credit Card for Students is not a rewards card. That means any spending you do with it will not earn you any additional value. This credit card is meant for students who simply need a line of credit extended to them, at the lowest possible APR. If you’re interested in getting the most value out of your purchases, then there is no doubt that the Citi ThankYou® Preferred Card for College Students is the better deal, thanks to the rewards you can earn. As always, we recommend against getting a credit card if you’re going to be paying interest on your purchases. By paying extra interest, you are devaluing your purchases. Having said that, the BankAmericard® Credit Card for Students does offer 0% APR for 15 billing cycles – that’s more than twice as long as that of the Citi ThankYou® Preferred Card for College Students. If you are in a bind, and need to make a purchase that you know will take some time to pay off, then the BankAmericard® Credit Card for Students is the way to go. The U.S. Bank College Visa credit card is another non-rewards card. It is as plain as credit cards get, as a matter of fact – offering nothing more than a simple line of credit. The U.S. Bank College Visa card has no 0% introductory APR period to speak off, and it earns users no rewards from spending. We recommend applying for the Citi ThankYou® Preferred Card for College Students over the U.S. Bank Visa Card any day of the week! The only reason you might go with the U.S. Bank College Visa card over the Citi college credit card is if you’re having difficulty getting approved for other cards. Rewards cards are generally harder to get approved for (though most college credit card issuers assume applicants will have 0 credit history). Still, if for some reason you are getting rejected from applications, and are in need of credit we recommend trying to apply for either the BankAmericard® Credit Card for Students or the U.S. Bank College Visa card – in that order. The Journey® Student Rewards from Capital One® from Capital One is one of the best credit cards available to college students. It offers a flat 1% cash back rate on all purchases – plus, there is a 25% bonus on the cash back you earn each month, if you pay your credit card bill on time. By doing so, your effective cash back rewards rate, with the bonus, is 1.25% - on top of this, your credit score will improve by not being late on payments. If you travel abroad at least once a year, and find yourself want to use your credit card while there, the Journey® Student Rewards from Capital One® is a great choice due to it having no additional costs for transactions in a foreign currency. With the Citi ThankYou® Preferred Card for College Students you’ll pay an additional 3% foreign transaction fee whenever using your credit card outside of the United States. One final feature worth talking about, is the Journey’s CreditWise®. As with all Capital One credit cards, customers are able to check their credit score any time online, or view it on their monthly bills. This can be a great tool in building out your credit score as you’re able to see how certain purchases or financial actions affect it. Bottom Line: Is the Citi ThankYou® Preferred Card for College Students for College Students Worth It? We recommend the Citi ThankYou® Preferred Card for College Students to any student whose spending falls heavily into entertainment and dining categories. 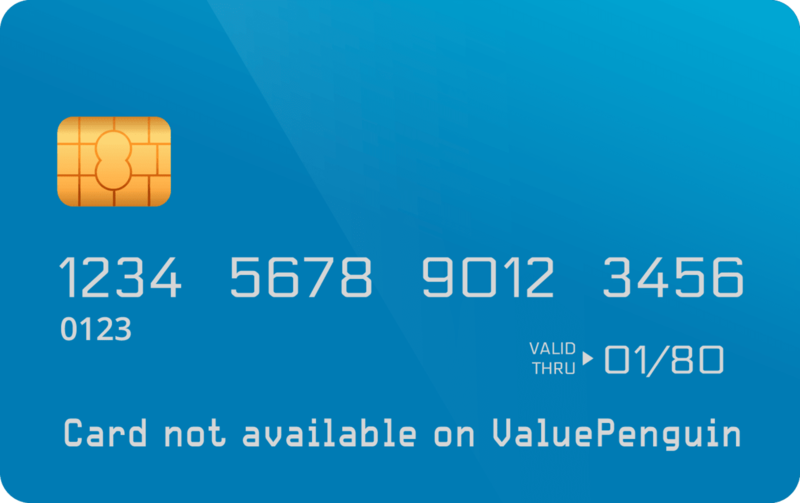 The card comes with no annual fee, and provides a decent overall value. The services offered by Citi also provide added incentive to sign up, if you are interested in attending shows and concerts that may otherwise be difficult to get into.